3'x5' polyester flag with white header and two grommets. Most flags have four rows of stitches on the fly and two rows on the top, bottom, and header side. Image is screen printed and appears on both sides. From 1919 - 1933 and 1949 to present. 5'x8' polyester flag with a white header and two grommets. The image is screen printed and appears on both sides. From 1919 - 1933 and 1949 to present. 3'x5' polyester flag with white header and two grommets. Most flags have four rows of stitches on the fly and two rows on the top, bottom, and header side. Image is screen printed and appears on both sides. State flag and Ensign from 1950 - present. This flag is used by the Federal government of Germany. A similar version was used from 1921 - 1933. 5'x8' polyester flag with a white header and two grommets. The image is screen printed and appears on both sides. State flag and Ensign from 1950 - present. This flag is used by the Federal government of Germany. 3'x5' polyester flag with white header and two grommets. Most flags have four rows of stitches on the fly and two rows on the top, bottom, and header side. Image is screen printed and appears on both sides. This is one 3'x5' flag with all 16 Landers pictured. One each of all 16 German Lander flags. 3'x5' polyester flag with white header and two grommets. Most flags have four rows of stitches on the fly and two rows on the top, bottom, and header side. Image is screen printed and appears on both sides. 3'x5' polyester flag with white header and two grommets. Most flags have four rows of stitches on the fly and two rows on the top, bottom, and header side. Image is screen printed and appears on both sides. This is a German Lander flag, or state flag. Bavaria has a unique flag. It is referred to as the Rautenflagge meaning lozenge flag, for the diamond shapes. 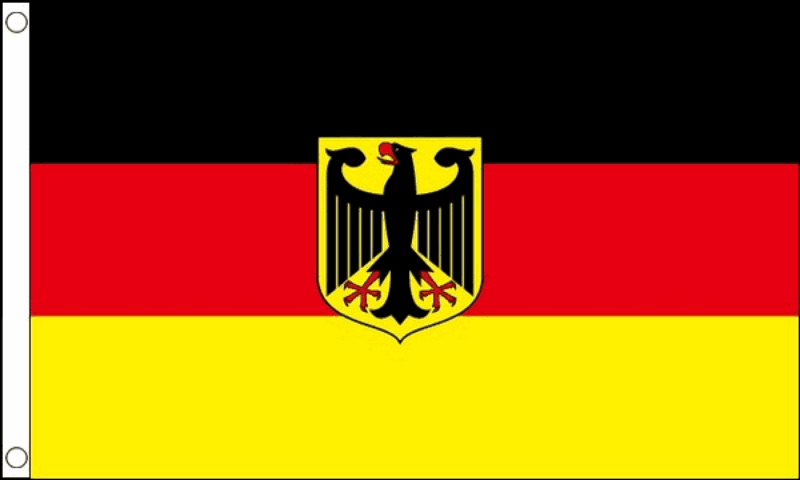 This is a German Lander (state) flag. 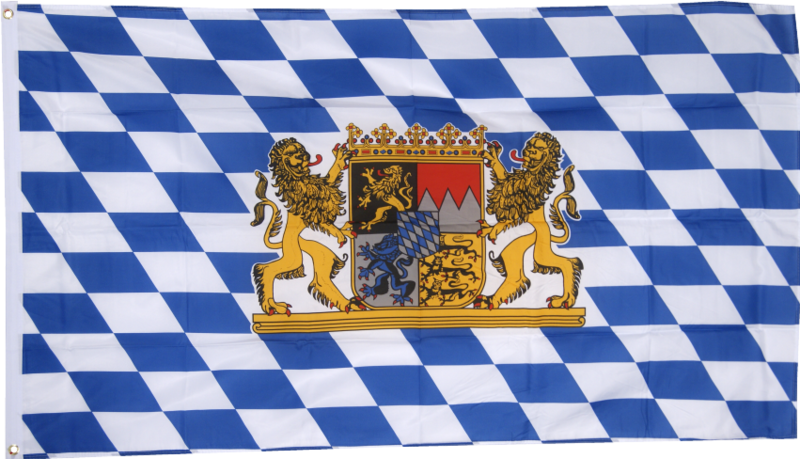 This flag is ideal for Oktoberfest celebrations! 3'x5' polyester flag with white header and two grommets. Flags have four rows of stitches on the fly and two rows on the top, bottom, and header side. Image is screen printed and appears on both sides.